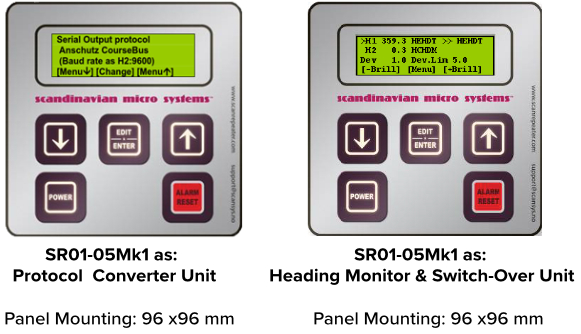 SR01-05 Heading Monitor Unit compares two Digital Heading Data inputs and generates an alarm if the difference exceeds the configured limit (the limit can be edited). It always transmits the selected heading input. The unit has one Serial Data Alarm transmitting the NMEA “ALR” sentence.